Product #46887 | SKU DJIINSPIRE2PT7 | 0.0 (no ratings yet) Thanks for your rating! 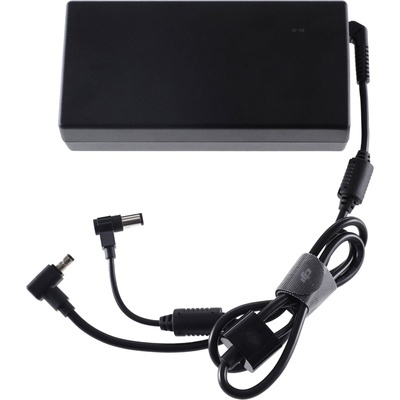 The 180W Power Adapter from DJI charges your Inspire 2 remote controller and flight battery using AC power. It takes approximately 1.5 hours to fully charge an Inspire 2 Intelligent Flight Battery or 2.5 hours to charge an Inspire 2 remote controller. When charging both devices together, charging may take longer than 2.5 hours. A compatible AC cable is required (sold separately).